Downhole Technology’s Boss Hog plugs provide cost-effective pressure isolation in casing sizes from 2.750" through 6.250" ID. Whether hauling a heavy string of guns or cruising through a 20˚ toe up lateral, Boss Hog leverages patented HELISEAL® technology to allow operators to reliably seal 10 KSI differential pressures while enjoying the benefits of reduced pump-down water consumption and increased pump-down speeds. Read more about how our frac plugs perform in the wild. 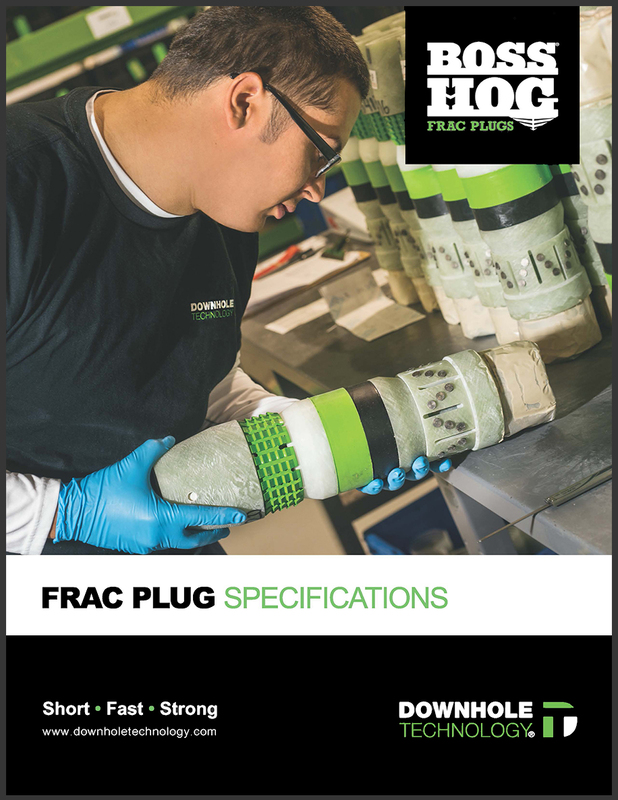 Read more about our frac plugs in a whitepaper written by our CEO and founder, Duke VanLue.